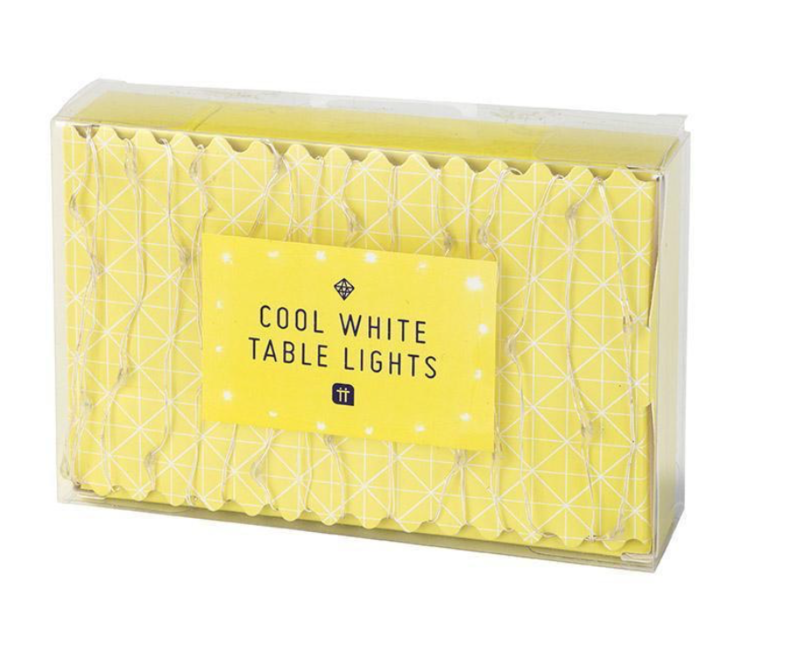 These beautiful table lights are the perfect addition to any occasion. 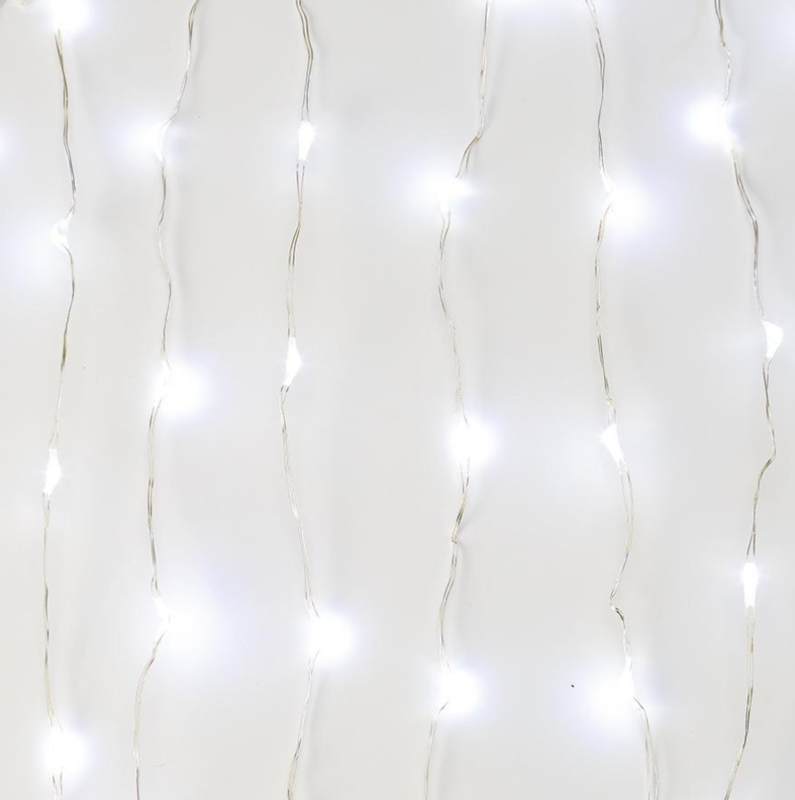 Decorate your table with our string of dainty white lights to that extra glow to your table decoration. 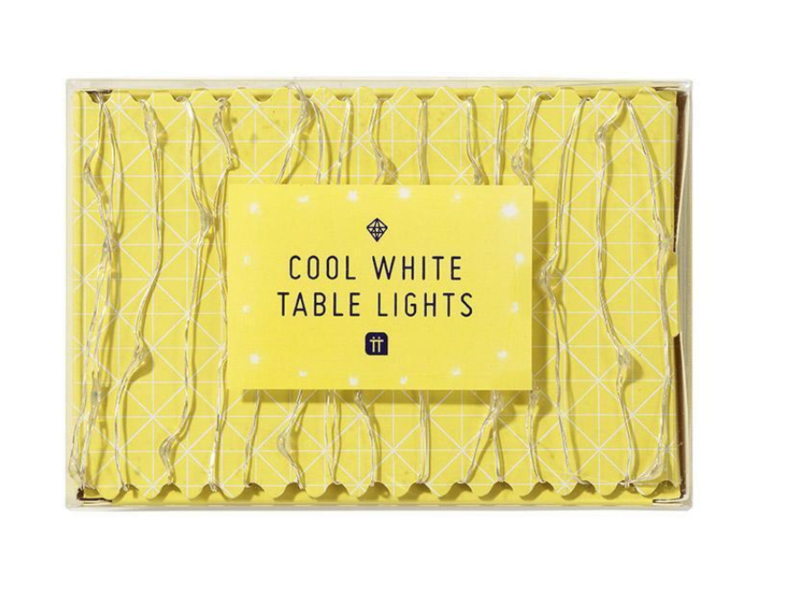 Each pack contains 3 metres of fairy lights, and features a subtle blue hue to create the ideal atmosphere for your table spread.